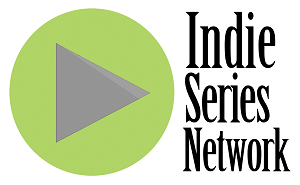 In the last Indie Series Network "Web Series of the Week" poll, Redheads Anonymous was voted favorite indie series for the week. It's now time to catch up on all the new episodes and vote for your favorite series in this week's poll. You can also cast a vote for your favorite actor, actress and web series couple/duo. Voting ends Tuesday, March 31 at 4 p.m. ET (one vote per person per day). Web series that aired one or more new episodes from March 21-27, 2015 are eligible. If an indie series aired this week and is not on the list, cast your vote as "Other" and write in your choice. Note: The weekly poll can now also be found at serialscoop.com. - How I Seize It Episode 157 "19 Kids & Counting"
- LARPs: The Series Episode 10 "Broken"
- Milkshake Episode 7 "Everyone Loses"
- The Mother Load Episode 6 "Uptight"
- Raymond & Lane Season 2 Episode 5 "Drug Dealing for Dummies"
- Roomies Episode 7 "Destroy To Create (Part 2)"
- Stressed at a Desk "Would Redbox Solve Illegal Immigration?" - This Is Art Episode 7 "An Actor Prepares"
- Triangle Episode 17 "Soulless Devil"
- Web Series Episode 2 "The Crew"
- Youthful Daze Season 3 Episode 26 "Hello and Goodbye"